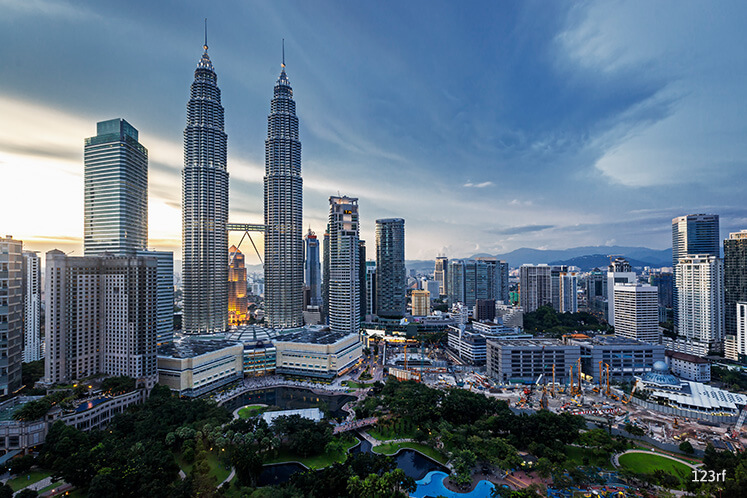 KUALA LUMPUR (March 13): RHB Research Institute Sdn Bhd said there would be no issue for the Malaysian Minstry Of Finance (MOF) to bring down its budget deficit for 2017 to its target of 3% of gross domestic product (GDP) and maintain its borrowings below 55% of GDP. In an economic update today, the research house said the windfall from higher oil prices would likely be spent to spur economic growth during the year. “This would likely contribute to stronger economic growth in 2017 – it only expanded by 4.2% year-on-year (y-o-y) in 2016. “The ministry expects the Malaysian economy to pick up in 2017, on the back of a recovery in external activities and resilient private spending – albeit at a slower pace compared to the previous year. “It also kept its GDP forecast at 4-5% for the year (the working number is seen at the midpoint of the range, in line with our revised projection of 4.5%). However, the stronger USD, the slowdown in China’s economy, low commodity prices, geopolitical tensions remain as challenges for the economy, in the MOF’s point of view,” it said. Commenting on a meeting it had with the MOF, the research house said the ministry prefers to be conservative in its GST collection for 2017 despite the higher-than-expected collection in 2016. “The ministry expects the Malaysian economy to pick up to 4-5% in 2017, on the back of a recovery in external activities and resilient private spending – albeit at a slower pace compared to the previous year. “The MOF intends to focus its expenditure on spurring private spending and private investment, as they are the main drivers of the economy. RHB Research said the MOF intends to plug leakages in expenditure on subsidies, mirrored by the removal of subsidies for cooking oil in 2016. “On investment, it remains committed to contributing to large infrastructure projects like the Mass Rapid Transit (MRT), Pan-Borneo Highway and the East-Coast Rail Line. “These would be funded by the MOF and, in the end, the spending would benefit the private investment players though a multiplier effect. The ministry intends to focus on expenditures that are efficient, effective and have a multiplier effect on the economy,”it said.